Your hosts Jerry and Laura Jacques…. 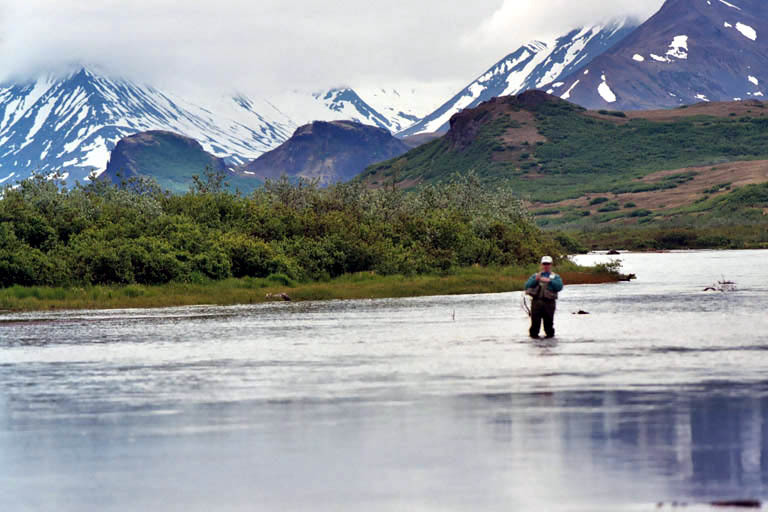 Alaska's Aleutian Range… experience the worlds largest salmon migration and endless salmon rich rivers that punctuate miles of spectacular coastline. Our guests flightsee glaciers, volcanoes and towering cliffs. Soar over the endless mountains of Katmai National Park or experience pristine water and glacially carved terrain at the Emerald Island of Kodiak Island. Every day brings a new and exciting adventure!